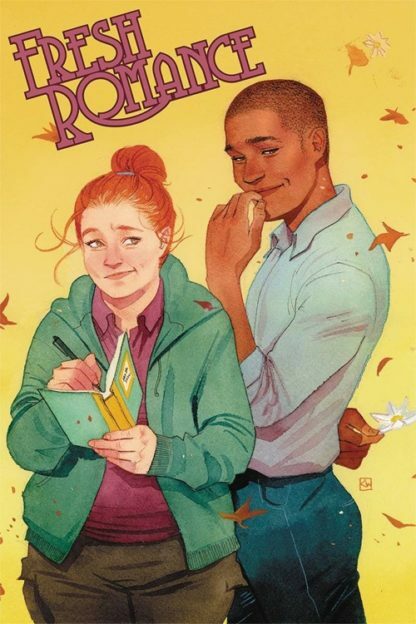 The hardcover anthology Fresh Romance: Volume 2. 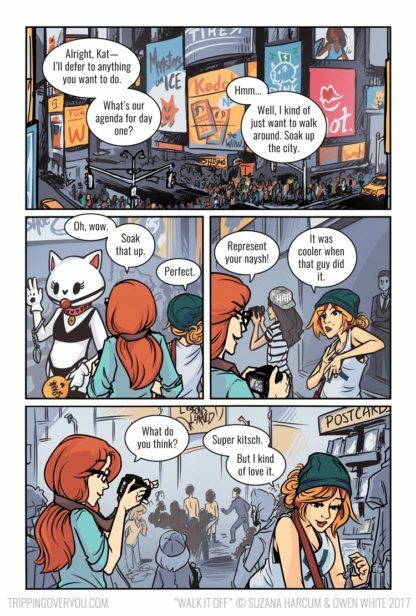 This anthology includes part one of a Tripping Over You side-story called Walk It Off, featuring an expanded version of Kat and Penny’s roadtrip shown in this page of Tripping Over You. 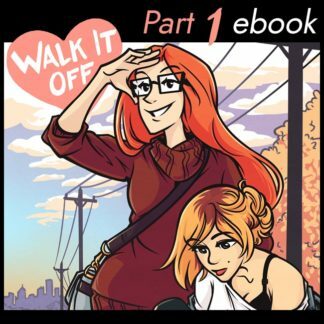 Part 1 of Walk it Off is 60 pages of full color comics included in this volume. 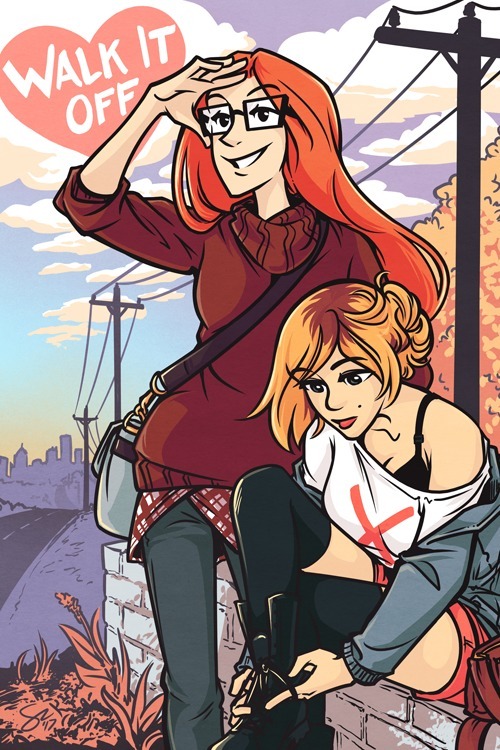 The anthology also contains 3 other inclusive stories, from 3 different artist and writer teams. The anthology contains a total of 192 pages of comics and author notes. Shown left in the preview images is the hardcover book’s cover. 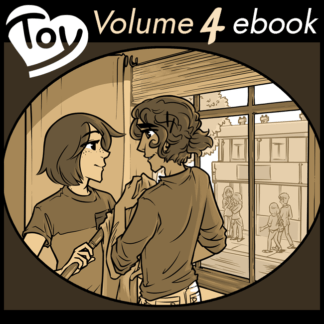 our personal title page within the volume, and some information on the other teams represented in the anthology. 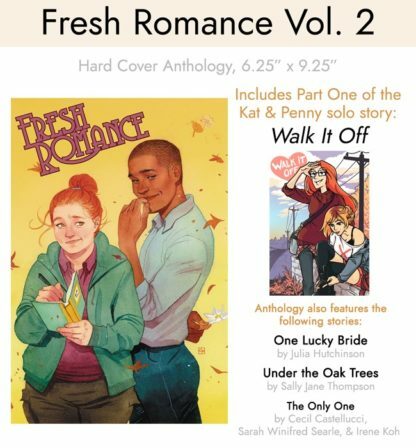 Fresh Romance: Volume 2 is 192 pages of full color comics and author notes. 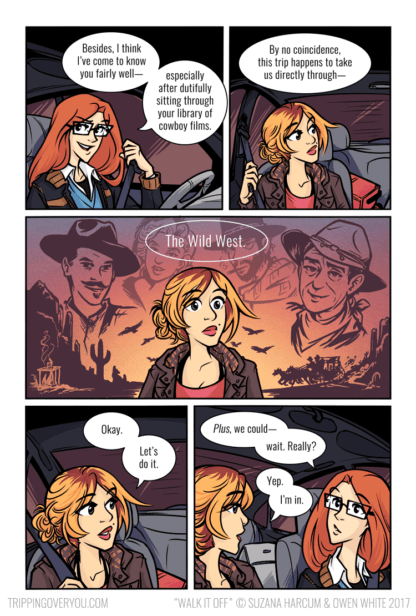 The book is hardcover, perfect bound. 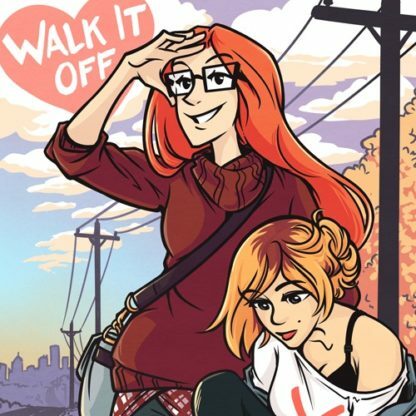 Part one (of a planned three parts) of Walk it Off 60 pages long, full color.